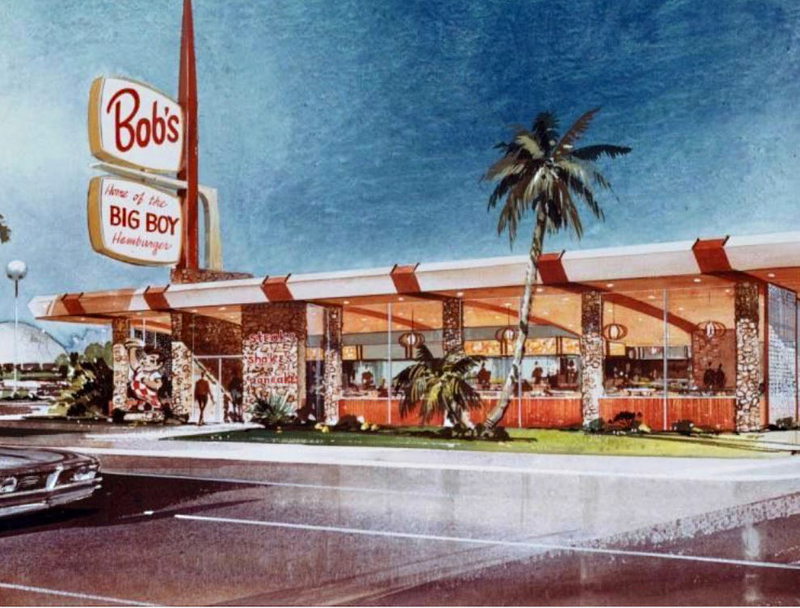 In 'Not Long for This World?,' in the new spring '19 CA-Modern, the Eichler Network salutes a dozen mid-century modern buildings in California whose continued existence is threatened to the point where we wonder: just how short 'not long' will be. Above: Among the endangered 12 is Joe Eichler's former home in Atherton, designed by architects Anshen and Allen. 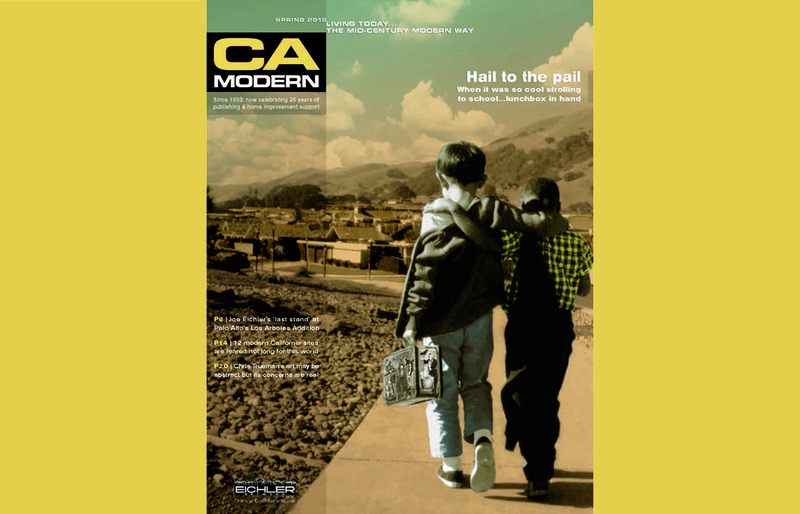 The Eichler Network engages in a little hero worship in the new spring '19 issue of CA-Modern magazine, but in this case the heroes in question don't leap buildings in a single bound—they are buildings. As suggested by its title, 'Not Long for This World?,' features editor Dave Weinstein's story celebrates 12 mid-century modern buildings in California whose continued existence is threatened to the point where Weinstein worries just how short 'not long' will be. "Throughout the nation, architects, planners, and preservationists have watched as many buildings from the 1940s to the 1970s have come down," he notes, rallying readers to the cause. "There have been victories [though], as supporters band together to protect threatened treasures. "Some of the threatened buildings discussed here are sure to go," he concedes, adding. "Others could be rescued—perhaps with your help." Weinstein also discusses the desire for homeowners to preserve the period homes in their neighborhood, but only two of the dozen buildings featured in the story are residential: the Connell House designed by Richard Neutra in Pebble Beach, and a certain developer's former home in Atherton. "No Eichler home looks more like a design by Frank Lloyd Wright than the one builder Joe Eichler had Anshen and Allen design for himself and his family," Dave writes of the 1951 home at 19 Irving Avenue in Atherton. He warns, however, that the house has no historical designation and sits on a lot that could fit a much larger home, thus presenting a risk for future demolition. 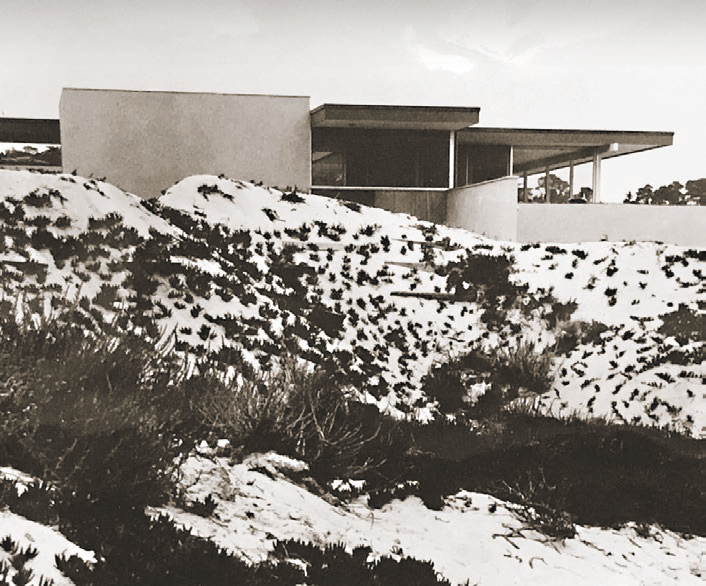 Pebble Beach neighbors have long feared for the Connell House, forming the Alliance of Monterey Area Preservationists in part to protect this 1958 construction. Its owner allowed the seaside home to decay considerably before applying to demolish it, but has yet to receive permission.